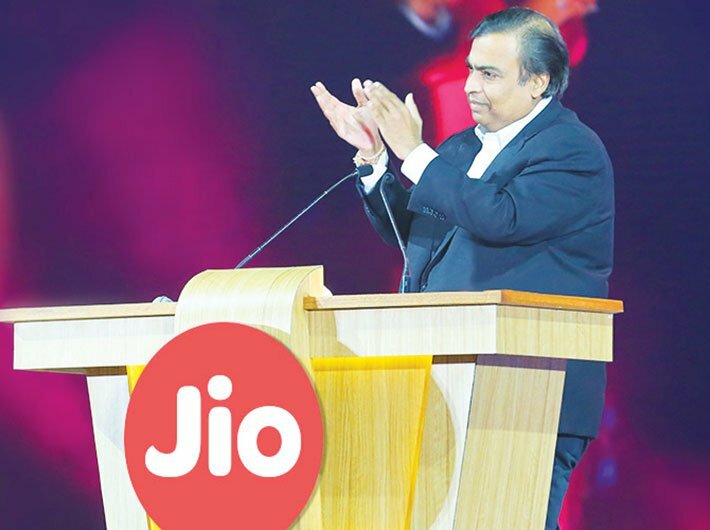 Reliance Industries Limited (RIL) chairman and managing director Mukesh Ambani’s speech at the company’s annual general meeting (AGM) left a billion telecom subscribers salivating. On September 1, he announced that Reliance Jio customers will never be charged for mobile telephony and they will have access to mobile 4G internet at dirt cheap prices. Not just that, Reliance Jio would not charge their subscribers a single penny till December 31, a free ride to lure subscribers away from its competitors. For many consumers who have been shelling Rs 250-300 for one gigabyte (GB) of 3G data, Jio – which offers 1GB of 4G data for Rs 51 – becomes an inviting alternative. Following Ambani’s 45-minute speech, blood bath began in the telecom industry: the market capitalisation of Airtel and Vodafone fell; they together lost over Rs 13,000 crore (RIL’s stock too fell by 2.7 percent, signalling apprehensions related to Jio’s breakeven). To prevent mass exodus to Jio, existing telcos have axed their data tariffs by 70-80 percent. Reliance was equally aggressive in its positioning. “Jio’s mission is to realise Digital India vision,” said Ambani, referring to the ambitious programme of the NDA government 10 times in his AGM address. But Reliance Jio is not philanthropy. The company has invested over Rs 2.5 lakh crore in Jio – most of which has come in the form of debts or loans. In an interaction with a national daily, Ambani assured his investors that Jio would have “healthy return on our capital”. 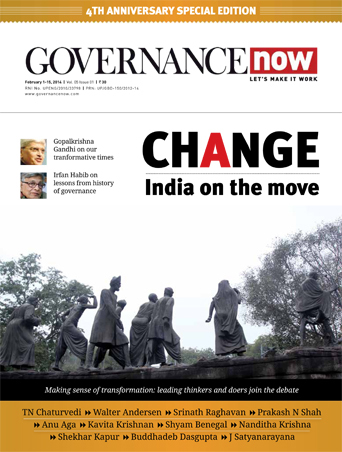 Governance Now takes a look at the consumer-related and policy issues around the Jio launch. The most attractive facet of the new communications service is pricing. A popular perception is that it will reduce people’s expenses on mobile services. Some experts argue otherwise. Take for example a postpaid plan. At present, the blended (voice and internet) average revenue per user of the existing telecom service providers (TSPs) is around Rs 200. “In Jio, you will have to buy a Rs 149 plan. But you only get 300 MB of data. To use more you will have to buy additional one GB pack for Rs 51. It anyway comes to Rs 200,” said Romal Shetty, partner, KPMG. Of course, the user will get far more data even though the monthly charges may come around the same level. The postpaid subscribers who wants to use more than one GB data with Jio will have to opt for Rs 499 plan, as there is no plan in between. This will lure consumers to spend more. Competitive pricing also raises questions about the rationale of existing tariffs. “The existing TSPs enjoyed a huge margin while giving data. Look how competition helps. Every one brought down their prices by 70-80 percent. Reliance takes away only a ‘genuine margin’,” said a Reliance Jio official. For existing players, it was their “first mover advantage” which had helped them keep data prices high. “The operators started offering 3G data very recently and hence data prices were not brought down,” justified Rajan Mathews, DG, Cellular Operators Association of India (COAI). Some even argue that data prices in India are not high if compared globally. “You take the US, entire Africa or Singapore, data is costlier everywhere,” said Shetty. Pricing is a function of volume. “Initially call rates were Rs 16 per minute. Now it is in paise. Jio made it free. As the market grows the economy of scale would come into effect,” he said. Even as it is the only Indian player to do so, Jio’s business model symbolises the shift in terms of revenue for the telecom sector, as it chose not to charge for voice calls, forever. The existing TSPs including Airtel, Vodafone and Idea earn 85 percent of their revenue from voice calls. 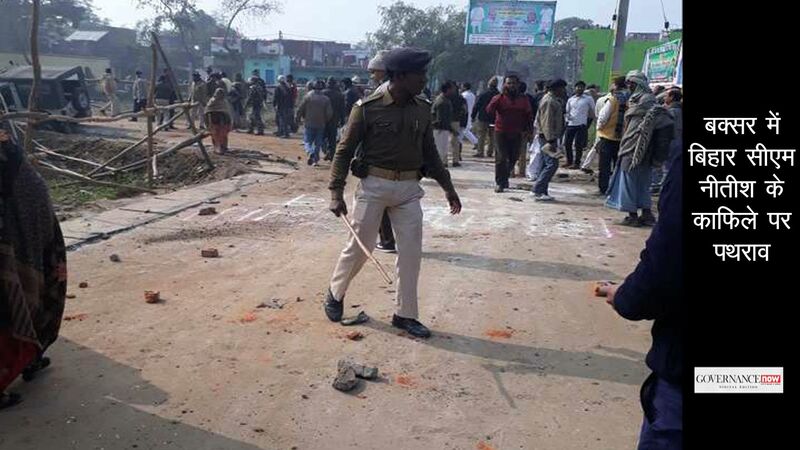 “They have been successfully outwitted,” said Mahesh Uppal, director, Com First, a telecom consultancy firm. In the past six months, during the trial phase of Jio wherein all services were offered for free, the company observed that the average monthly consumption of data per user came around 25-30 GB. “This, however, is not a measure of the latent demand. It’s only when consumers buy and use data, we would know the actual demand,” said Uppal. Mathews of COAI, which has been very critical of Jio and the manner in which it was rolled out, said that if Jio succeeds in galvanising data consumption it will be a win-win for all. As far as freebies are concerned, it is exactly what Uber, the global taxi aggregator, is doing around the world: burning money. “It is a bonanza for consumers, at least for the next 12-18 months,” said Shetty. Price stabilisation, nervertheless, would soon follow, he said. “It is bound to happen.” At present whatever Reliance is offering is not sustainable, he said. Right now it is just about customer acquisition. For Jio to become viable, experts believe it will have to have 100 million subscribers. At the core of the issues of viability and profitability of both Jio and existing operators lies a trade fee that operators pay to each other, called interconnection usage charges (IUC). Let us assume that an Airtel user makes a call to a Reliance Jio number, the former would pay the latter 14 paise in form of IUC, as the call terminated in the latter’s network and vice-versa. Last year, the Telecom Regulatory Authority of India (TRAI) had decreased it from 20 paise to 14 paise and the next revision is scheduled for 2017-18. However, in August, TRAI floated a consultation paper for reviewing IUC. The COAI accused the telecom regulator of bias against existing operators and towards new entrants, specifically referring to Reliance Jio. Since most of the consumer base is with existing players more calls would land up on their network. If it is reduced, or made zero – which would be the operator’s worst nightmare – the existing players will be at the receiving end. “It will be unrealistic that players who spent thousands of crores on setting up infrastructure will allow its usage for free,” said Uppal. In a letter to the prime minister, the COAI has refused to provide point of interconnect (POI) to Reliance Jio through which its calls can be routed to other networks. To resolve the issue between the operators the TRAI had called a meeting of operators on September 9. It urged the existing operators to provide “reasonable incremental capacity” to Reliance Jio. Jio has been demanding PoIs for 20 million subscribers. TRAI has asked operators to initially provide PoIs, keeping in mind 10 million subscribers. It is to ensure that consumers do not face inconvenience due to the lack of connectivity. As of now the operators, reportedly, have agreed to comply with TRAI’s decision in relation to PoIs. Yet there are speculations about Jio’s breakeven. “The whole offering is based on incremental pricing. Unless Reliance Jio has 100 million subscribers, which they are targeting for 2017, the balance of trade will not be in their favour, as for every call landing on another TSP network they will have to pay 14 paise per call,” said Mathews. Only when they have 100 million users that they will start making some money out of it, he said. Mathews, however, believes that if the whole data user segment moves up from Rs 200 segment to Rs 500 it will stimulate the entire market. Another challenge would be the non-sticky nature of pre-paid subscribers, who form 90-95 percent of the subscriber base. This segment will force the industry including Jio to continue to put money in the market.